"WHEN DIET IS WRONG, MEDICINE IS OF NO USE. WHEN DIET IS CORRECT, MEDICINE IS OF NO NEED." Part 1 – Do We Really Need 130g of Carbohydrates Per Day? Part 2 – Can Diabetes Educators and Dietitians Teach Low Carb? If you have not already done so, please read my introduction page (HERE). Biguanides work by decreasing the output of glucose from the liver. They also activate an enzyme which help cells to become more sensitive (less resistant) to insulin. This is particularly helpful in Type 2 diabetes, although those with Type 1 on larger doses of insulin, or who may have become insulin resistant, may also benefit. As stated, although this drug is not often prescribed in Type 1 diabetes, it may sometimes be used to improve insulin sensitivity. However, the primary target for this drug is with Type 2 diabetes. In fact, because it reduces insulin resistance (the hallmark feature of Type 2), it is most often the first line drug for Type 2. This drug has an average A1c lowering capability of 1.0 – 2.0% (1). This drug is typically weight neutral. Some studies show improved cardiac risk factors with use of this drug. It also does not typically cause hypoglycemia as it does not work DIRECTLY to lower blood glucose. Another benefit of this drug is its effectiveness versus its cost. Compared to many of the other oral medications, this drug carries an admirable A1c lowering ability. In the United States, the generic form of this drug is only $4. Drugs in this class: The only drug in this class is (generic) metformin. However, it goes by different brand names, such as Glucophage, Glumetza and Fortamet. It also comes in an extended release formula. 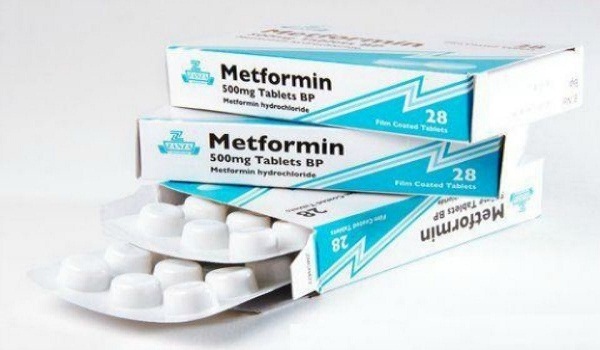 Metformin is combined with MANY other drugs in almost every drug class. Please see those drug education pages for more information. The most common side effects of this drug class is nausea, gas, bloating, abdominal discomfort and diarrhea. This is a significant problem for many people. Sometimes, taking the extended release formula of this drug or taking the brand name version provides relief. But often the drug must be discontinued for this reason. While this drug is not known to be the CAUSE of kidney problems, it can worsen already existing kidney issues. Therefore, this drug must be reduced or eliminated with renal (kidney) insufficiency. Kidney function should be regularly monitored. In addition, anything else that places a stress on the kidneys may require that metformin be temporarily stopped (for example: imaging studies that require contrast dye and other medical procedures). If you are only interested in the facts about this drug and how it works, feel free to stop here. The following are my concerns with this drug class and my personal opinions. Please note, in providing my personal opinions with concerns for these medications, once again, these are my opinions only and not intended as advice for you personally. Please consult your personal healthcare provider to discuss the benefits and risks of any medications prescribed for you. So, here are my thoughts. REMEMBER, above all, diabetes is a problem of GLUCOSE INTOLERANCE. The answer to that problem is not “take in all the glucose you want and then take a drug to deal with the excess glucose load.” That is like telling someone with lactose intolerance to “eat all the milk and cheese you want and we’ll give you a pill to try and make it better.” No! People with lactose intolerance are told not to eat milk and cheese. It is the same with diabetes. People with diabetes should consume as little of the foods that turn quickly into glucose as possible. Then, there will be little need for pills to deal with excess glucose. As you know, I recommend a low carb lifestyle for all people, but PARTICULARLY as a first line of defense in the treatment of diabetes, NOT drug therapy. I believe that drug therapy has it’s place, but ONLY to address any issues after a healthy, low carb lifestyle, exercise and other lifestyle practices are ALREADY in place. So, if you are already practicing these things, this class of drug may be unnecessary. However, in some circumstances, long term insulin resistance may not be able to be fully overcome with lifestyle measures alone. This is where this drug may be beneficial. Once again, this is my personal opinion. So, unlike almost every other article in this series where I stated that I would not personally feel comfortable taking any of the medications in those drug classes, I would not personally be opposed to taking metformin, PROVIDED that I was willing to see my doctor every few months to have my kidney function checked, and PROVIDED that my time in the bathroom didn’t increase too much :). Hi folks! Welcome to Low Carb RN! Exciting info is being shared regularly. Don't miss out. Please enter your email address to follow this blog and receive notifications of new posts by email. Do you shop at these stores? If so, click below to help support this website. We only recommend products of the highest quality that we personally use and those that align with the ideals of this website. We greatly appreciate your kind support.